We offer the machines and tools that provide for the most efficient utilization of our packaging supplies, usually in commercial and industrial environments where speed on assembly and production lines is important. Many large manufacturing and distribution operations require the speed and efficiency delivered by automated packaging equipment for their shipping departments. Industries where the automated alternative is necessary include sectors with high-volume manufacturing, such as electronics, textiles and pharmaceuticals, as well as efficient warehousing and shipping operations. In one important application, stretch-wrapping machines wrap skids faster, more securely and with much less waste than the job can be completed by hand. 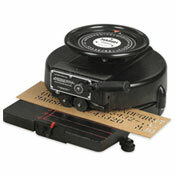 Semi- and fully-automatic, and low- and high-profile models are available. Material reduction, speed and ease of use are most important user benefits delivered. Shipping department workers just put the skid on the platform, push the start button, and they can work on another task. When they get back to the machine, the skid is wrapped. Most companies situate the machine in a workspace that allows one worker to load the skid, start the process, and then begin working on the next skid, while another worker takes the wrapped skid from the machine and loads it on the truck for delivery. 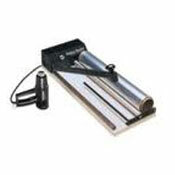 Shrink-wrap machines in all sizes are available as well. 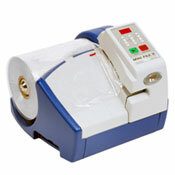 These machines provide product protection and security, as well as the reduction of product contamination. Setting up automated packaging equipment of any type requires specific expertise, so that the equipment completes the job in the most efficient and effective manner and also fits in with the particular industry and manufacturing or distribution operation. We offer expert advice in the selection, installation and integration of packaging equipment. Our manufacturers are capable of building units to fit almost every application. Too often, industrial companies do not study all the alternatives available to increase the efficiency of their packing departments. Also, they sometimes select equipment that is less than the highest quality for immediate cost savings, while they should seek the most appropriate solution, which always saves time and money in the long run. The best suppliers provide the highest quality equipment that’s easiest to maintain, have the most competent maintenance teams, and have spare parts readily available for rapid repairs. Among the leading manufacturers we represent are BestPack for carton closing and sealing machines, PacStrapping for strapping machines, and Phoenix for stretch-wrap machines.